Meat tenderizing machine - TSP S.r.l. The meat tenderizing machine, developed in collaboration with Umbra Macchine, is a revolutionary machine for the slaughter. It allows not having to leave the meat maturation for weeks, but thanks to a patented process allows to soften the meat a few hours after slaughter, keeping the flavor intact. This avoids all the problems of long passages in cold storage. This machine also allows you to work meat with and without bones, young animals as well as older ones. 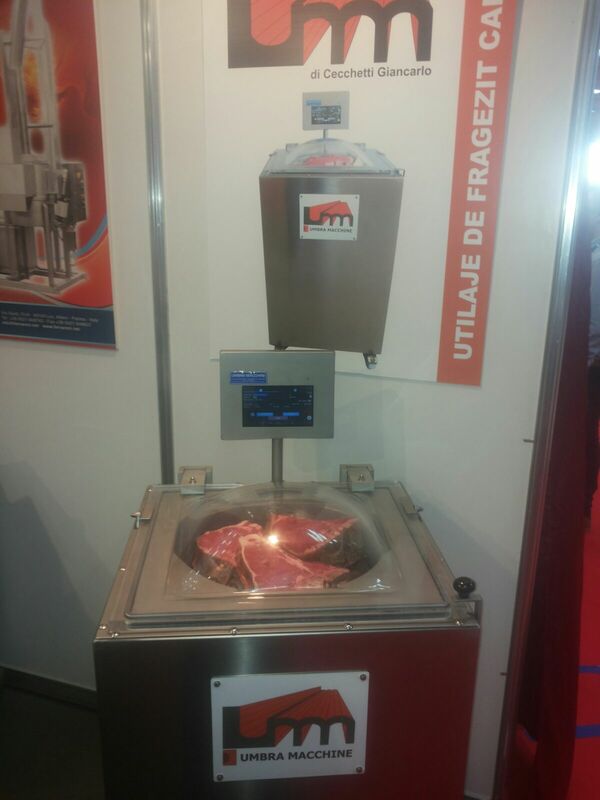 The machine is fully automatic, you’ve to simply enter the piece of meat in the refrigerated stainless steel container, seal it with its transparent cover, press the start button on the touch screen and wait a couple of hours: the meat will be soft as after 20 days in cold storage. For information visit the website of Umbra Macchine or use our online form.